Our birthday is a very significant day for us, as this day marks the beginning of our journey that we started as a life when we were born. It was this day, when the celestial arrangement of planets and stars were in perfect alignment with our karmic baggage from our past lives. It is said that spiritual rituals performed on one's birthday provide maximum benefits to the individual, as the ability to receive cosmic blessings is very high in an individual on his/her birthday. Therefore on this day, we must connect with our guiding spirit and pay our respect to the planets in order to enhance their positive influence on us and pacify their negative impact that they may have in store for us in the future to come. So in order to receive the cosmic blessings, what exactly should we do on our birthday? Simple, go for a Birthday Puja! A puja on birthday is a holy offering that strengthens the protective aura around a native and insulates him/her from misfortunes in life. Hence, we urge you to book a Birthday Puja for yourself on your birthday, to receive the blessings of the divine for success and prosperity in your life! It brings enormous luck into the life of the native. It attracts new growth opportunities and promotes growth in career. It dispels all negative energies from the life of the native. It showers the life altering blessings of heavenly bodies upon the native. It strengthens the education domain in the life of a student. For people involved in business, it promotes financial gains and secures a business from regulatory hurdles. It promotes sound health in life and protects the native from chronic diseases. It helps the native to win in legal battles. It protects the native from the harmful influence of enemies. 'Hawan' (Holy Fire Ritual) on your behalf by highly learned Brahmin Priests to invoke a divine presence in your life. 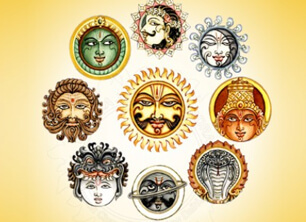 'Navgraha Puja' to please all planets to strengthen your individual horoscope and eventually make success and prosperity a living reality in your life. Note: The Birthday Puja is performed in strict accordance with all Vedic rules & rituals as prescribed in the Holy Scriptures. Why should I go for Birthday Puja? Your birthday holds a cosmic significance in your life and all holy rituals performed on this day, bring enormous positive effects in your life. Hence, make the best use of this God given personal & auspicious occasion! Who will perform the Birthday Puja? We make sure that highly learned & experienced Brahmin Priests perform these spiritual rituals with utmost devotion. You need not to worry about anything as every single procedure as per the holy religious scriptures is followed. Absolutely, you can watch the Birthday Puja being performed in your name via a recording provided to you by us. Is there any minimum age to go for Birthday Puja? No. Anyone can go for this Birthday Puja. Can I book the Birthday Puja for someone else in my family? Absolutely! You can for sure book a Birthday Puja for any of your near and dear ones.